Hoodrich Pablo Juan delivers his first project of the year. While Hoodrich Pablo Juan is still enjoying a co-sign from one of Atlanta's most legendary emcees, Gucci Mane, he continues his 10/17 Records run by dropping a new mixtape. 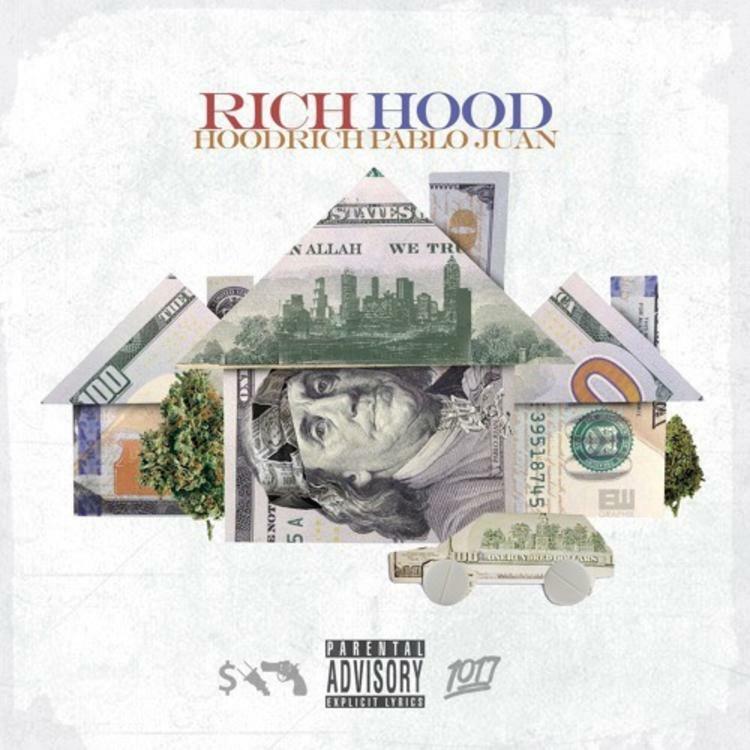 Rich Hood finds the Atlanta bred emcee dropping trap wisdom over the course of fourteen tracks, assisted by featured guests Lil Yachty, Lil Baby, Yung Mal, Lil Jay Brown, Key Glock, Hoodrich Hect, Lil Marlo and Gunna. Production is handled by Big Head, 808 Mafia, OG Parker, Spiffy Global, Lil Jay Brown, and more. If you're new to Hoodrich Pablo Juan, Rich Hood is a solid starting point, with a nice dose of dark ATL trap music. Juan's flow remains tight throughout, with a relaxed, confident cadence indicative of his boss-like stature. It's no wonder Gucci Mane decided to add him to the 10/17 family, and while we didn't get a Guwop feature this time around, it's clear that Hoodrich's latest effort would make his label boss proud. Dizzy Wright, Demrick, Audio Push, Jarren Benton & More Team Up For New Album "One Week Notice"
Mila J Drops Off A Soundtrack To Kick Off The New Year With "January 2018"